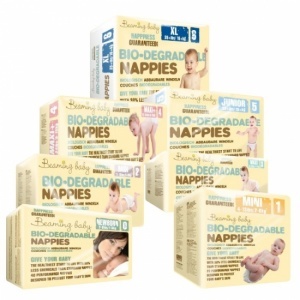 Making the choice to use eco disposable nappies over well known branded nappies is the safe and healthy option. Children are more vulnerable to the effects of toxic chemicals than adults. Their immune systems and central nervous system are immature and still developing, which means their bodies are generally less capable of eliminating toxins. Children have roughly double the skin surface of adults per unit of body weight, so a child can absorb proportionally more chemicals. Unfortunately many standard cheaply manufactured disposable nappies consist of a plastic exterior, an inner super-absorbent layer treated with chemicals, and a liner. One commonly used absorbent chemical, sodium polyacrylate, can trigger allergic reactions. 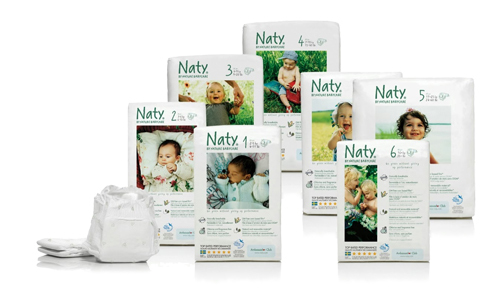 These disposable nappies may also contain dyes and dioxin, a carcinogenic by-product of the chlorine bleaching process. Not to mention the hundreds of years disposable nappies take to bio-degrade in landfill. 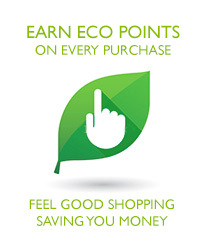 The removal of oil based petro chemicals from the manufacture of eco nappies reduces any harsh chemicals from being in contact with your babies skin. So no chemicals, no plastic, less landfill and better for babies...a wiser choice for all!